My daughter and I have a brand new obsession — rock hunting and rock painting. In our area there are these super cool rocks that we find when we are out places that really inspire and uplift. It has become a past time for many in my area and we have jumped on the band wagon as well. 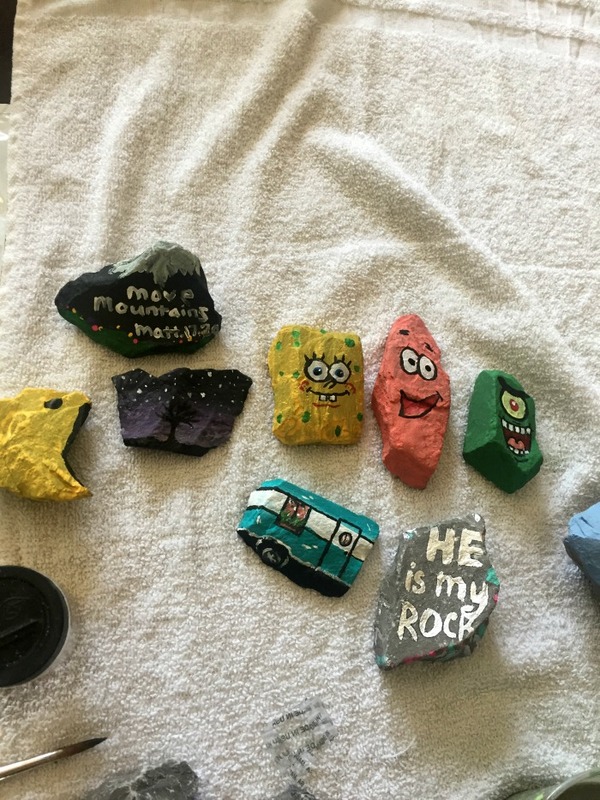 Each week, we head down to the lake and pick up rocks to paint and “spread the joy” around our little town. 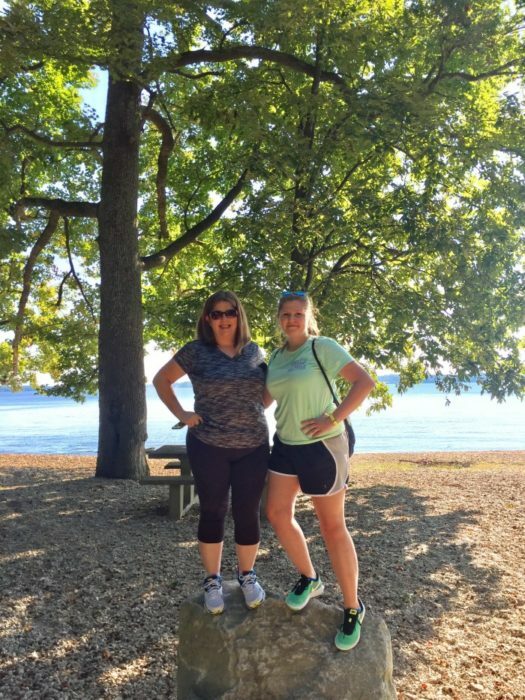 This past week, we headed to one of our favorite spots — Moss Creek. They have the best rocks and great places to get photos as well. She doesn’t just paint the rocks any kind of way. She loves to look at them and imagine what they could become. She’s painted some to look like mountains, campers, cartoon characters — and some she just adds an inspiring quote on. 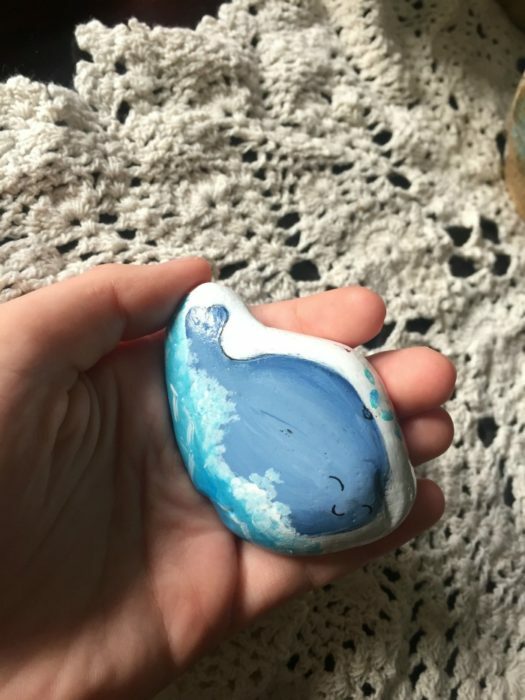 One of my favorite rocks that she has painted is the whale rock. On the backside it says — “Everything WHALE be alright”. Such a great reminder for someone who might be feeling stressed about life. Those are my favorite to paint and hid for someone to find. 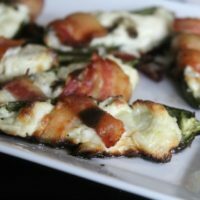 On days when I know we are going to be out for a while down by the lake, I love to make an easy and delicious snack for us — my Green Chile Cream Cheese Bacon Wrapped Jalapenos. 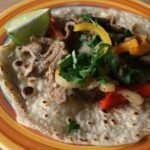 These jalapenos are excellent and packed with an enhanced flavor and I think that is because it is flavored with the El Yucateco® sauces that you can pick up right from the Mexican section of your local Walmart. This recipe only uses 4 ingredients – jalapenos, cream cheese, bacon, and El Yucateco® Green Chile Habanero Hot Sauce. 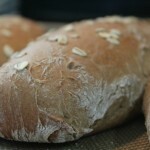 Those 4 ingredients together make a great snack that can be transported and cooked anywhere. Go Native is all about celebrating all the ways people enjoy nature, outdoors, friends, family, and El Yucateco®. El Yucateco®’s ingredients come from Field to Bottle. It includes no artificial colors, but the same great taste that makes it the King of Flavor since 1968. 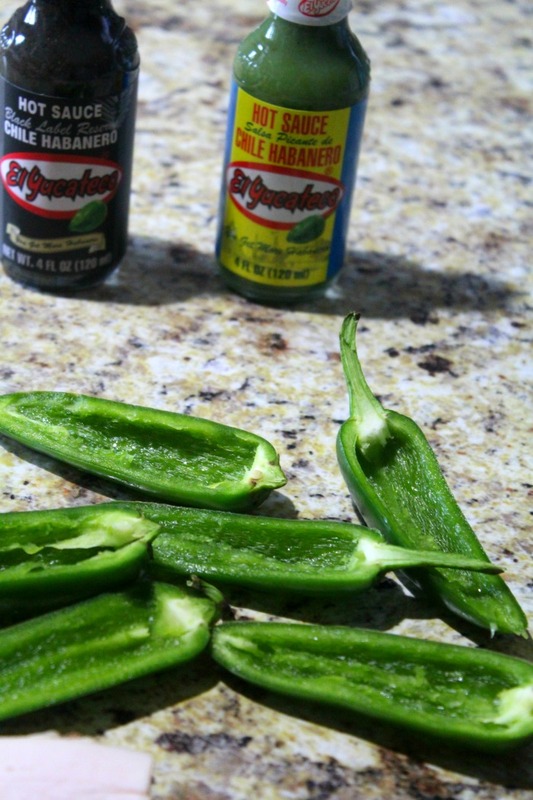 Start by slicing your jalapenos in half. Be sure to wear plastic gloves during this process. If not, you will not be able to touch your body anywhere because the jalapeno juice gets into your skin and stays there for a while. 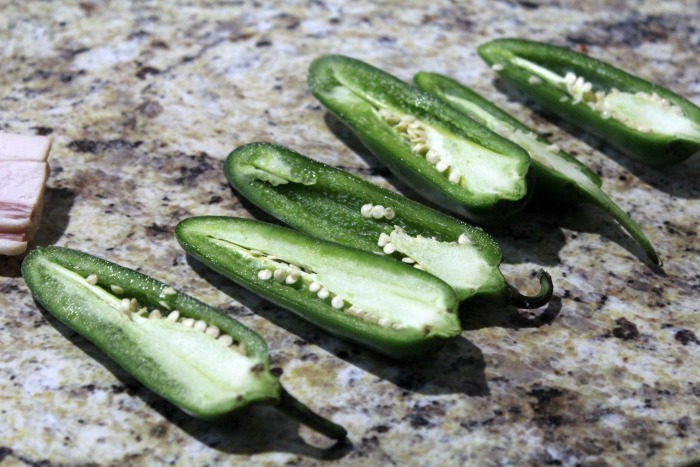 After you slice them in half, take a spoon and remove the seeds and the membrane leaving behind the jalapeno shell. The seeds and membrane is where most of the heat lies anyway, so by removing that, you take away the extreme heat of these jalapenos. Then, set that aside while you get the sauce together. 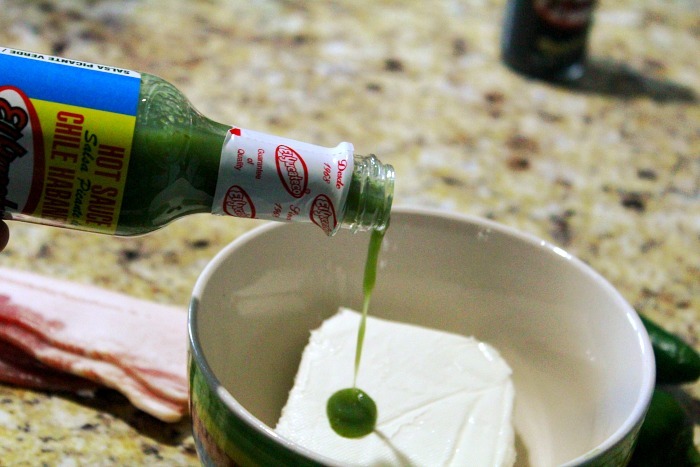 Take your cream cheese and add 2 tablespoons of El Yucateco® Green Chile Habanero Hot Sauce and then mix together. Once you mix together your cream cheese, then fill your half jalapeno shells with the mixture. Now, wrap with bacon and cook in the oven at 400 degrees for 20 minutes. or — you can simply wrap in aluminum foil and take to the lake and grill them. Either way — they turn out delicious. I topped these with a drop of El Yucateco® Black Label Reserve which adds that charred grilled smokiness flavor that I love. 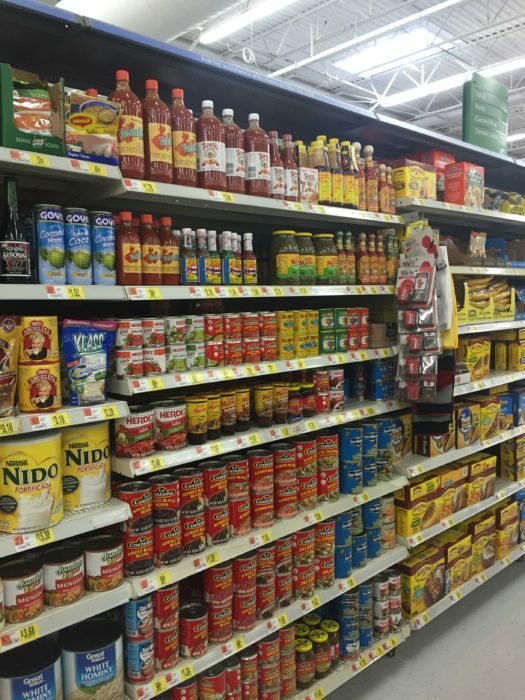 No wonder that El Yucateco® is the #1 consumer choice. The El Yucateco® Green Habanero Hot Sauce is made with fresh green habanero peppers, garlic, select spices and seasonings. This one is actually the #1 seller nationally. I love this one because it adds such a level of flavor to my food without leaving behind that vinegar hot sauce taste that most hot sauces leave behind. 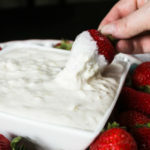 My favorite way to use it is in creamy dips and also for grilling or cooking — especially when fish or chicken is involved. My other favorite is the El Yucateco® Black Label Reserve which has that just grilled smoky flavor. Both of these add the perfect element of flavor to any dish out there. Using plastic gloves, slice your jalapenos in half. Remove seeds and membranes with a spoon. Discard seeds and membranes in the trash. Set jalapenos aside. 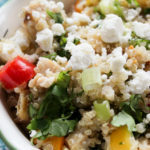 In a bowl, combine room temperature cream cheese and 2 tablespoons of El Yucateco® Green Chile Habanero Hot Sauce. Mix together well. 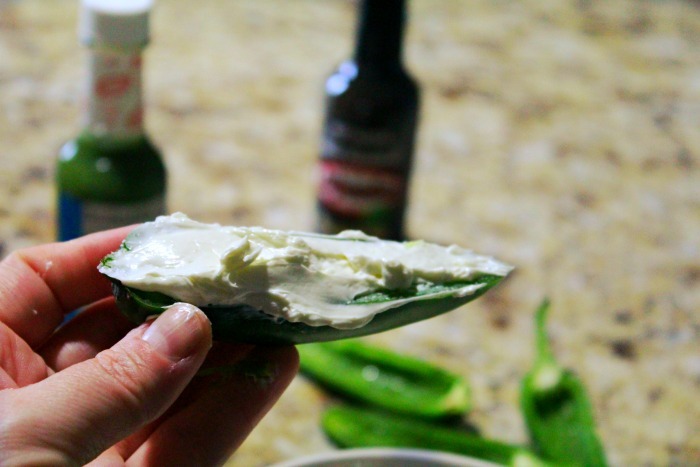 Take the cream cheese and fill each half of jalapeno. Now, wrap with a slice of bacon and place on a cookie sheet. Bake in a 400 degree oven for 20 minutes. Remove from the oven and place one or two drops of El Yucateco® Black Label Reserve Hot Sauce on top of an enhanced bite of flavor. Allow to cool and en joy! 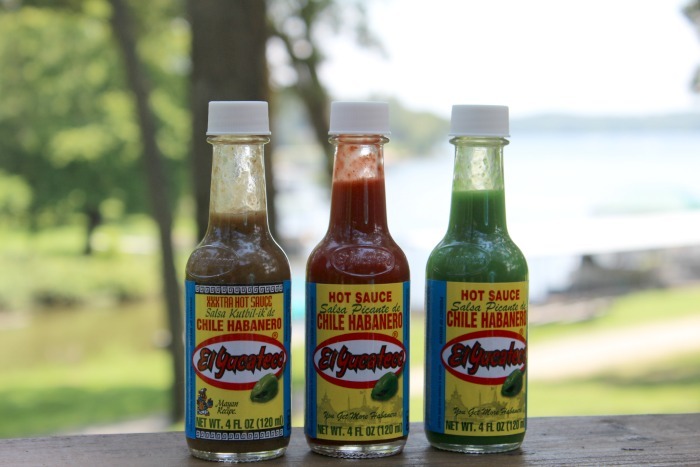 Have you ever used these sauces before? What flavorful dish would you come up with to add these sauces in? I would love to hear! Those sound so good! I love the heat of the pepper with the creamy coolness of the cream cheese. Om nom nom. We love to go rock hunting and hiding! We’ve been doing it since the beginning of summer. Such a fun family activity. These jalapenos sound so tasty! I love the addition of the bacon. Oh my gosh, yes! I LOVE spicy foods, so I know I’d enjoy these! I’ll be making them soon–I mean, bacon! Yes! Oh goodness! Your rocks are so awesome! Love the Scooby Doo van and the whale!!! 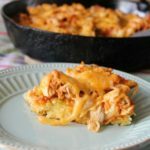 I just ate a TON and am STUFFED yet I still want to try the recipe! 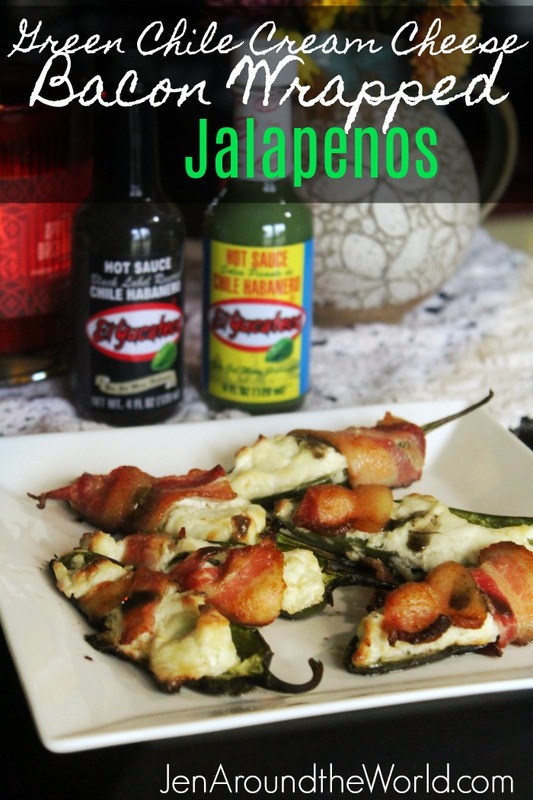 I love jalapenos and bacon! Yum! I need to try those sauces too! Holy moly these jalapeños look soooo good!! 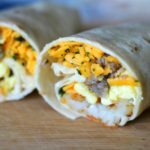 I need to try this recipe ASAP!! Those jalapenos look amazing. 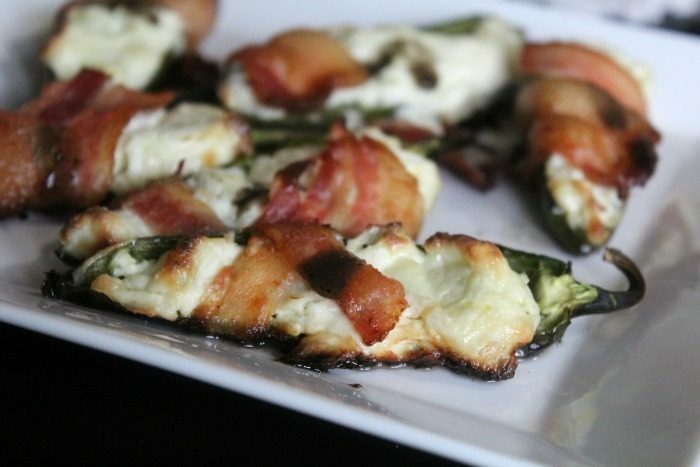 I haven’t ever made them at home but I do enjoy jalapeno poppers from time to time. Rock hunting is also a ton of fun. We look for rocks every time we are at the park. Oh my goodness, how delicious does this recipe sound!! Oh yes I would love to try it! I don’t even eat bacon, but these look good. I’m sharing this with my step-dad. He would enjoy making these. 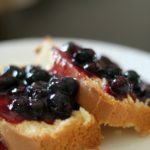 I’ve made these before and oh my are they delicious! I could probably eat 6 or more at a time!